Warning: file_exists(): open_basedir restriction in effect. File(/var/aegir/platforms/gmit-smart/sites/www.smartseaschool.com/local.settings.php) is not within the allowed path(s): (/var/www/vhosts/smartseaschool.com/:/tmp/) in include_once() (line 92 of /var/www/vhosts/smartseaschool.com/httpdocs/sites/default/settings.php). Warning: file_exists(): open_basedir restriction in effect. File(/var/aegir/config/includes/global.inc) is not within the allowed path(s): (/var/www/vhosts/smartseaschool.com/:/tmp/) in include_once() (line 97 of /var/www/vhosts/smartseaschool.com/httpdocs/sites/default/settings.php). As part of the training activities of the Eurofleets2 program, 2 berths are offered out on-board the RV L'Atalante to enable postgraduate students (Masters and Doctoral) to participate in the Eurofleets2 GRACO research survey. The cruise will take place from 22nd September to 1st October 2016, leaving from Cadiz and ending in Cadiz. The GRACO project focuses on the study of the interaction between gravitational and contouritic processes on the Cadiz margin shelf-edge and upper slope. 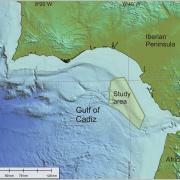 This is a relatively unexplored region of the Gulf of Cadiz, where scarps and downslope-trending valleys will be investigated in relation to oceanographic processes, in order to determine their interaction and the roles played during the evolution of the Gulf of Cadiz Contourite Depositional System. The resulting models are expected to improve our knowledge on the morphosedimentary evolution of the system, but also on their incidence on global climate, geological hazards and the evaluation of potential hydrocarbon reservoirs. To achieve this objective, we will acquire seismic, acoustic and oceanographic datasets, sediment samples and video-photograph images of the seafloor. A research team of 12 people, including students and technicians will work on data acquisition on board, but a group involving 16 more remote participants will also be involved in the consecution of the scientific objectives of the project. This group results from years of collaboration between Spanish and international institutions and also includes companies from the energy, civil engineering and telecommunications industry. The GRACO project emphasizes scientific questions that have not been considered with detail in previous projects from the group, and the cruise has been designed to complete the available datasets. Outreach and dissemination of results to the general public will be a major objective of this project, including live, real-time communications during the cruise. Geology (gravity corer and box corer). The selection will be based on information provided in the online application form. This programme specifically aims at encouraging the participation of postgraduate students from countries with limited access to such equipment. Please note that ship-time is funded through Eurofleets2. All other expenses, including travel and accommodation, will be paid for by the student. Applications must be made online by Friday August 5th at 18:00hrs(CET). Successful applicants will be notified by Friday 12th August. Call Open: Training Through Research Surveys 2018. Joining a TTRS survey is an opportunity to gain offshore experience, develop new skills and learn on the job with established research scientists and research leaders. Call open for AMBS 2018, accredited module and CPD in Applied Marine Biological Sampling and Data Collection. Research Vessel based with expert instructors for graduates, researchers and observers. A Science@Sea course in multidisciplinary marine science will take place from Thursday 30th November to Friday 1st December in Cork Harbour and its approaches. The Training Through Research Surveys Scheme (TTRS) offers seagoing placements on a range of research surveys on-board the national research vessels thereby increasing national capacity in offshore research. As part of the Eurofleets2 program, two berths are offered out on-board the RV L'Atalante for postgraduate students to participate in the Eurofleets2 GRACO research survey, 22 Sept-1 Oct 2016. Science@Sea courses in multidisciplinary marine science will take place on-board the RV Celtic Voyager from 26th to 29th September off Cork. The Training Through Research Surveys scheme (TTRS) provides exciting opportunities for graduate and postgraduate students to gain valuable marine data collection and observation experience on dedicated research surveys. Strategic Marine Alliance for Research and Training, Galway-Mayo Institute of Technology, Dublin Road, Galway, Ireland.